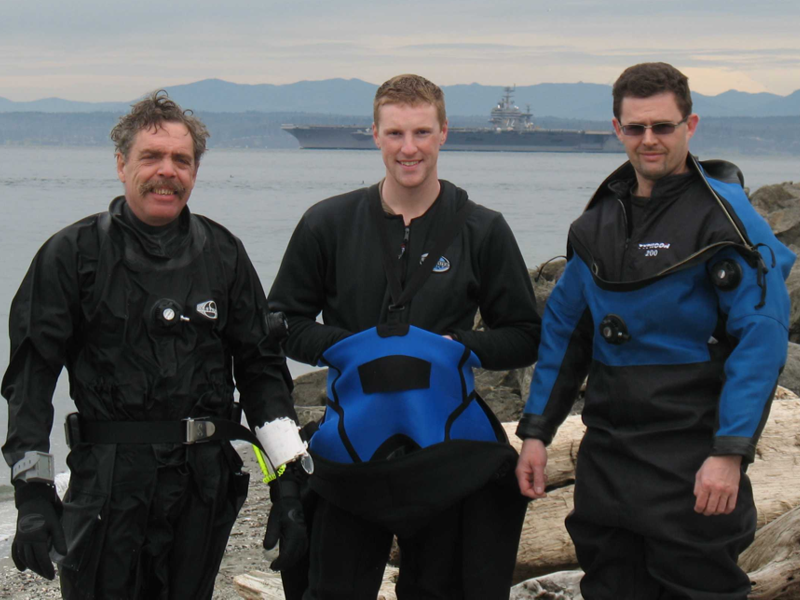 Our aircraft carriers still work and can seen here behind the Northwest’s newest PADI technical divers (from left to right) Chuck Neudorf, Alex Schumer and Sergey Derkachev. These students, along with Rich Pleiss, recently completed their Tec 40 certifications and have moved on to Tec 45 training with Northwest Diving Institute Tec Deep instructor Al Schumer. I’m so proud of my husband Sergey and want to thank his instructor Alfred Shumer for being such a great and highly professional instructor!